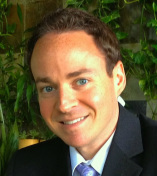 Dr. Turesky is a licensed psychologist in Boca Raton, Florida specializing in mindfulness-based therapy for anxiety, depression, relationships, chronic pain, and stress. As a presidential fellow of the prestigious doctoral program at the University of Iowa, Dr. Turesky completed specialized training in clinical psychology, health psychology, and pain psychology. He has worked in a variety of clinical settings including large academic medical centers, veterans' hospitals, medical schools, and university counseling centers. He completed his doctoral internship at the Cincinnati VA Medical Center. In addition to being a prominent psychologist, Dr. Turesky worked in research at the world renowned Harvard Medical School and the University of Iowa Hospitals and Clinics-Spine Center. He has published several journal articles and presented at several National conferences speaking on the topics of Chronic Back Pain, Chronic TMJ Pain, Mindfulness, Stress Reduction, and Psychoneuroimmunology. His passion for mindfulness led to his publication of a series of mindfulness training CDs and DVDs, which have been used world-wide by a plethora of institutions such as hospitals, universities, and large corporations.